Cold Steel has brought to market a devastating Chinese styled hatchet styled after those used with such awesome effect in countless Kung Fu movies. This Cold Steel is an authentically formidable weapon, not just a prop for the cameras. It features a 1055 high carbon steel drop-forged head, with a differential heat treatment (hard edge-soft body), and a straight, four inch cutting edge (with sharp corners). 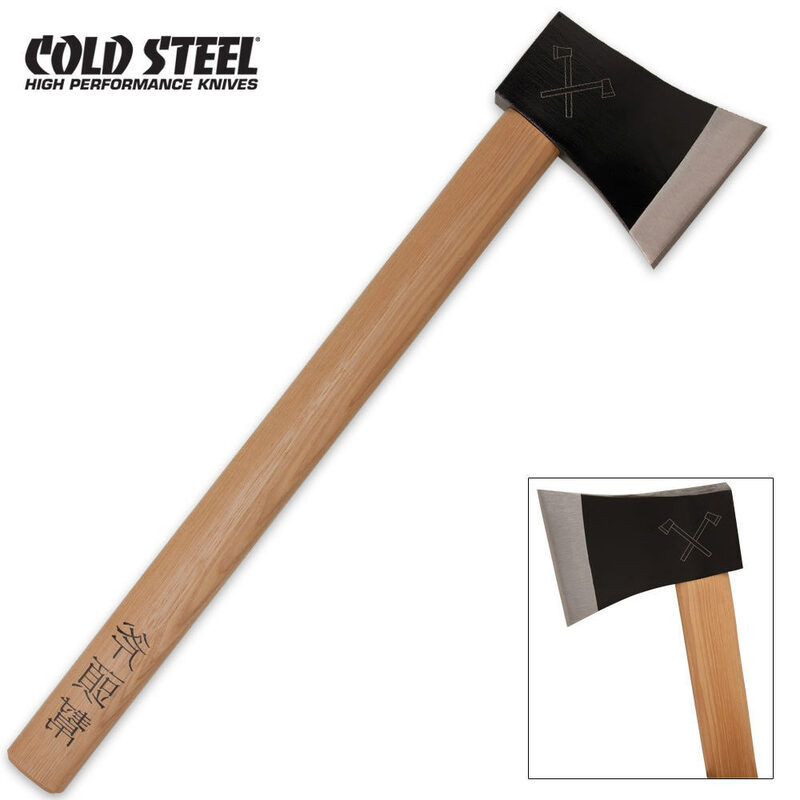 In addition to that it has a straight grain American Hickory handle with the Kanji characters that mean "Axe Gang". The sharp corners of the edge will easily pierce the thickest skull and the razor sharp edge will shear through flesh and bone like it was white bread. Plus due to its substantial weight and straight handle, it's easy to throw with great accuracy and is sure to explode any target with the most violent effect. 20 1/4 in. overall.